They say that politics is one of the two subjects that should never be discussed at parties. I've never really found that to be true. Autism politics however is an entirely different story. It always seems to start fights. I've discussed autism politics on this blog before though not intentionally but this time, I want to tackle the problem in a more deliberate way. In the past, I've talked about advocacy, the curbie movement and some of the initial reactions to the proposed changes to the DSM. Recently there was a flare up of political debate following some comments on another blog but I'm not here to talk about that one - it's too hot. It did get me thinking however. Perhaps if the feelings of people on different sides of the debate could be explored in peaceful circumstances they could promote understanding instead of conflict. It's a high-handed idea with little real chance of success but I think it's worth a shot. To that end, this post is concerned with the two main symbols of autism/aspergers; the jigsaw puzzle piece and the rainbow. I have my own views on both of these but I'm hoping that you, my readers will add to the list of reasons (why or why not) instead of just choosing sides. The jigsaw puzzle piece suggests that although we're all different shapes and although we may seem odd by ourselves, together we make up something beautiful which is more than the sum of its parts. Other explanations I've heard are; "each child in themselves is a piece of puzzle of autism.". Actually, I'm not sure if that counts for or against the puzzle piece. In some cases, the "autism pieces" of the puzzle are rainbow coloured while the "neurotypical pieces" are boring grey colours and all the same. There's also the autism ribbon shown above which is widely accepted. I've heard that some people are happy with the colours and the puzzle pieces but dislike the idea that a ribbon makes them seem like a "survivor". In the end though, I don't think you can please everyone. As a symbol, the puzzle piece is easy to draw and quite recognisable although having met someone with a puzzle piece tattoo (you know who you are), I was quite surprised to be told that it was because she "belonged" to a group (a family) and was a bit of a puzzle. It wasn't the answer I was expecting. The rainbow colours make a good symbol and usually signify the spectrum. In this case, the light spectrum is symbolising the autism spectrum. It makes sense and it looks pretty. Personally, I like the fact that the spectrum has a specific sequence. It's not that there is a specific order to different kinds of autism, it's just that many people with ASDs, myself included, love putting things into order. 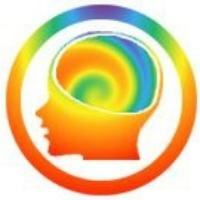 You'll notice that I use the rainbow (and a head/brain) symbol for this blog. I think it signifies my own position. I like the rainbow but not the puzzle piece. I also deliberately chose a slightly different spectrum for my image because I wanted to suggest that the spectrum looks different depending upon where you are. The last point that I want to make about the rainbow symbol is that to me it says that we align with nobody and everybody. It's not pink or blue for boys and girls and it's not country or racial colours. We're all in it together. We can be as individual as we like but we still fit into something. Essentially it says the same as the puzzle piece without the additional interpretation that there is a mystery to solve concerning us. The puzzle piece symbol has generated quite a bit of anger and debate over the years and for many reasons. There are those who say that it makes us out to be a game, a puzzle to be solved. This is not a good feeling to awaken in a group of people who are accustomed to being constantly poked, prodded, researched, surveyed and medicated by health professionals. We don't want to be studied and we don't want to be solved. The group Autism Speaks (a whole political topic in itself which I may eventually discuss) chose the puzzle piece for their logo. The implication seems to be that once the puzzle is solved, everything will be alright. It's a curebie approach - or at least, that's how many people interpret it. I haven't really noticed as many complaints about the rainbow though many teenage male aspies don't like the idea that they're represented by a bunch of "pretty colours". So that's enough from me. There are good reasons both for and against the symbols and the colours. What do you think? Do you like one or the other? Do you have an alternative symbol you prefer? Does the symbol or the colour stir good or bad feelings in you? Aspies can find NTs a puzzle. NTs can find Aspies a puzzle. So it's an NT viewpoint that says "Aspies are the puzzle". Why use the puzzle piece to mean autism? Why not use it to mean NTs - or neurotypicality? Aspies are often asking for advice about navigating the puzzling world of NTs. Aspies want order and routine where NTs want social and emotional unpredictability. And then they say we're the puzzles??? The puzzle piece for autism makes out that the NT viewpoint is the right one. The majority always thinks it is the minority that is odd, when really the two groups (majority NT and minority Aspie) are just different - both are odd to the other. The puzzle piece affirms the NT view of Aspies ("Aspies are odd") and not the Aspie viewpoint (Aspies and NTs are just different - not better than the other). So no, the puzzle piece badge makes me feel uncomfortable. It is the NT view of me, not my view of me. Why is a symbol necessary anyway? Are we supposed to wear an identifying badge at all times like a secret society or a group of outsiders? Please don't take those questions as criticism, I truly want to know why! I would've thought that the colour scheme of the logo/icon would've been more problematic if viewed from a distance. The criss-crossing pieces at an angle work perfectly fine, up to the point where they curve along, and then are obscured and conflict with the reverse side from behind going the opposite direction. It's like a bad psychedelic explosion, which would be kind of the opposite effect we would be going for. "I would've thought that the colour scheme of the logo/icon would've been more problematic if viewed from a distance." Have you read the book Good Flag, Bad Flag? It covers the issue of symbols viewed at a distance too! Two years ago, at the age of 54, I was diagnosed with Asperger's Syndrome.All my life I knew I was different than other people, but I didn't know why. When I was a child, back in the sixties, autism was associated only with children who were, or appeared to be, mentally retarded. i was tagged "a gift child with behavioral problems" or "emotionally immature." As I grew older, my life spiraled downward as I spent almost a whole lifetime seeking for a place that I would fit in and never finding where I belonged.Because of not understanding myself, I fell prey to loneliness, despair, anxiety and those other co-morbids that aspies are prone to. I was a puzzle to myself, as well as to everyone that knew me.I can see why the puzzle piece is used as a symbol, but I can also see why other adult autistics might not like it. I was a puzzle to myuself because of the times when I lived; were I in school today I would have been diagnosed very early in life and not been compelled to spend decades searching for self-discovery. Wow I applaude your perspective! Certainly gave me some things to think about regarding my son. 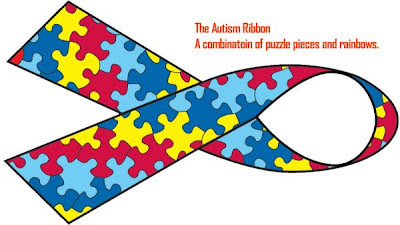 In retrospect tho I agree on some points you shared on views of the puzzle piece....I like posting the puzzle pieve because it is so widely recoginized in autism awareness! In conclusion I would like to see your symbol more widely displayed because perspective clearly is more universal!